Montgomery County, Northern Virginia and D.C. make Amazon's top 20 list for its second North American headquarters. Amazon plans to invest more than $5 billion in its headquarters, which could bring 50,000 high-paying jobs to the area. See the full list of areas Amazon is considering and find out which jurisdictions in Maryland and Virginia did not make the cut. WASHINGTON — Amazon narrowed down the list of nearly 240 submissions for cities and jurisdictions that want to land its second North American headquarters, and the Washington region makes the cut. 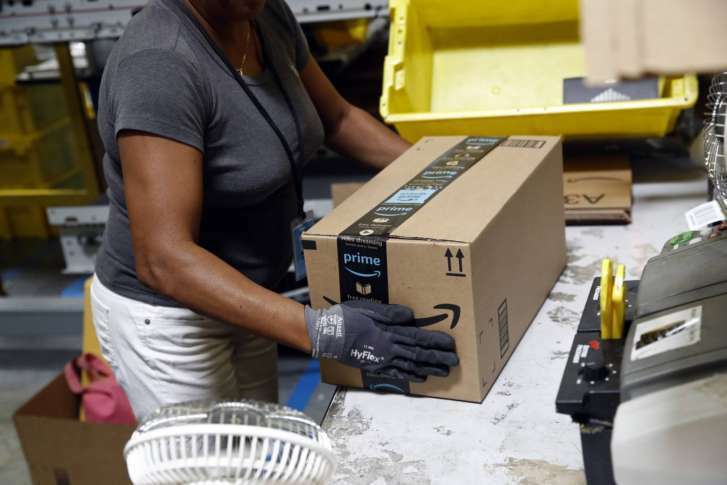 Amazon narrowed the list to 20 locations, including Montgomery County, Maryland, Northern Virginia and the District. All three move to what Amazon calls the next phase of the selection process. Amazon said it will work with each of the candidate locations in the coming months to dive deeper into their proposals, request additional information and evaluate the feasibility of a future partnership that can accommodate the company’s hiring plans as well as benefit its employees and the local community. Amazon said it will make its final decision before the end of 2018, and begin to occupy its first 500,000 to 1 million square feet of office space by late-2019. Amazon’s second headquarters, dubbed HQ2, will be a complete headquarters for Amazon, not a satellite office. It has said it plans to invest more than $5 billion and grow this second headquarters to accommodate as many as 50,000 high-paying jobs. Construction and ongoing operations could create tens of thousands of additional jobs in the chosen location’s surrounding community. “Thank you to all 238 communities that submitted proposals. Getting from 238 to 20 was very tough – all the proposals showed tremendous enthusiasm and creativity,” said Holly Sullivan, Amazon Public Policy. The District pitched a total of four locations that it thinks would fit Amazon’s needs: Anacostia Riverfront, Capitol Hill East, Shaw-Howard University and NoMa-Union Station. Prince George’s County, Baltimore, Richmond and Hampton Roads all made proposals but did not make the final list.